George wants to play outside, but the weather keeps changing his plans! He decides to create a weather journal by drawing pictures of the sky each day. 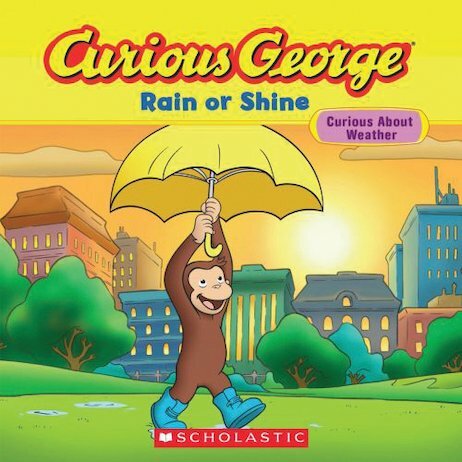 But George soon discovers that predicting the weather isn’t easy. After rain ruins his picnic and he stays indoors on a beautiful sunny day, he tries to study wind patterns instead. Then the city’s weather station loses its satellite, and the scientists turn to George for help. But is he ready for his debut as a meteorologist?